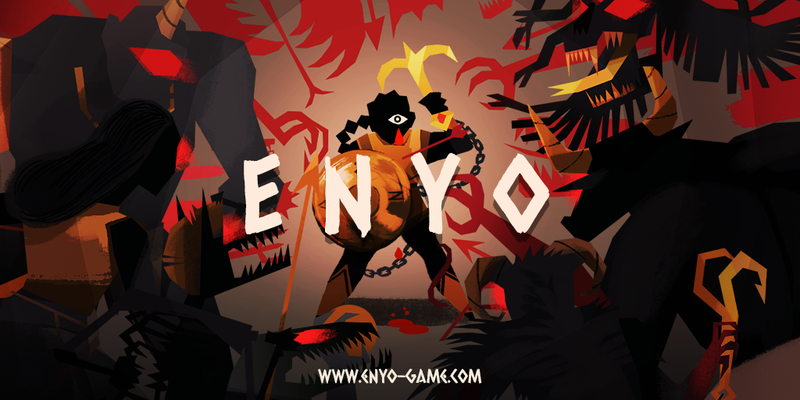 We finally have release date for our tactical roguelike ENYO! We will release simultaneously on iOS and Android on the 7th of September. 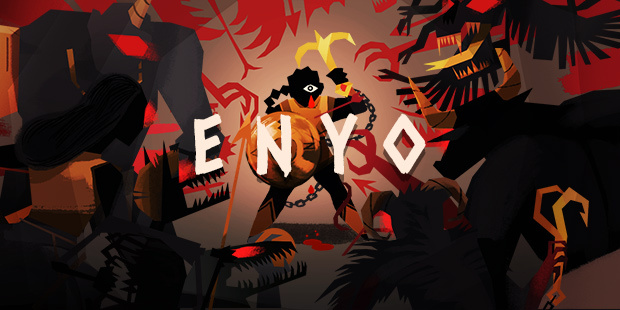 If you haven’t seen it yet ENYO is a tactical roguelike about hook & shield combat. You grab your hook & shield and descent as Enyo, the greek goddess of war, into an ever changing labyrinth to recover 3 legendary artifacts. ENYO originated in the 7 day roguelike challenge as Hook & Shield. It was a short 1 week jam where i finally could test out my idea to make a Hoplite/Auro inspired game that would evolve around the idea of not being able to directly inflict damage on enemies. After the initial prototype i strongly felt the urge to turn Hook & Shield into a fully playable game. Together with Winnie Song, i worked on ENYO in the last 3 month in part time. Winnie is a fantastic designer/artists from New York who recently made Bad Blood which i’m a huge fan of. Winnie’s unique art style really makes the game stand out and was a pleasure to work with, since i finally could get my hands a bit dirty in animating the game’s characters. In addition to that i worked with Craig Barnes, another NY based artist, on ENYO’s musical score. The final game features 7 unique enemies, including the Mimic which stars in ENYO’s Daily Game as a shapeshifting enemy who’s abilities are randomly chosen each game. Within 3 game modes the player can descent to recover the golden fleece, the apple of discord and the shield of Zeus. A scoring system that is based on how well you execute your moves will be included to create some competition. The game is going to be a free download that is supported by Ads. If you buy the game for $1.99 you can access the Daily Game and remove all Ads.